This paper presents perceptions and attitudes of freshmen students that have participated in an introductory Project-Based Learning (PBL) course in engineering. The course, `A creative introduction to mechanical engineering', was developed and is taught in the Faculty of Mechanical Engineering at the Technion. In this course, teams of students carry out mini-projects that require the design and construction of devices that perform pre-defined tasks. The qualitative paradigm was found to be suitable for studying the process undergone by the students, mainly because the study focused on the human aspect — the students' emotions, thoughts, behavior, and difficulties. Data was collected by means of semi-structured interviews with the students, the teacher, and the teaching-assistant, by observations in the classroom, and by analyzing students' reports. 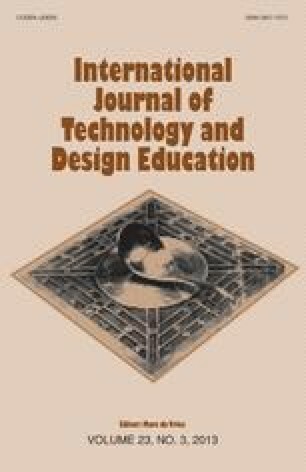 The paper presents the students' perceptions of: the aim of the course; the instructor's role in a PBL environment; characteristics of PBL course; advantages of the PBL from the students' point of view; PBL as a learning environment for future engineers, and implications of learning in teams.